This is the elm tree on the lot opposite the Ray Stannard Baker house on Sunset Avenue in Amherst. He purchased the meadow in order to save the tree. About the elm he wrote, "It is content. It does not weep with remorse over its past, nor tremble for its future. It flings its loveliness to the sky, it is content with spring; it is glorious in summer, it is patient through the long winter." 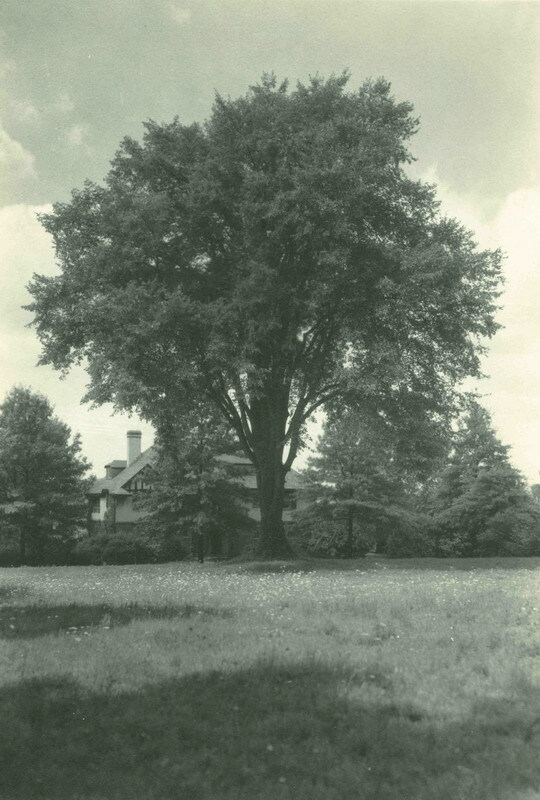 Barnes, Lincoln W., 1879-1966, “David Grayson's elm,” Digital Amherst, accessed April 26, 2019, http://digitalamherst.org/items/show/753.